According to the Occupational Safety and Health Administration, personal protective equipment (PPE) is designed to reduce employee exposure to hazards. This safety protective requirement is used for custodians when they perform certain job duties that expose workers to risks of injuries or illness. OSHA has general guidelines for professions where safety precautions aren’t clearly specified and these guidelines are typically used within the custodial field. 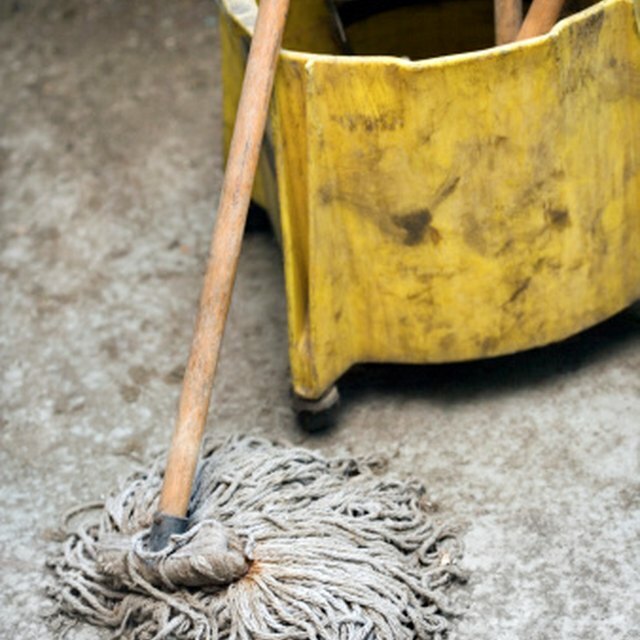 Custodians' PPE will vary according to type of environment in which they perform their duties. Custodial workers responsible for maintaining a hazardous environment in facilities such as hospitals or chemical plants will require different PPE gear than a custodian who performs cleaning services within an office setting. OSHA requires employers conduct a hazard assessment to determine what type of PPE is required within a particular working environment. For example, custodians that perform tasks such as leaf blowing, dusting high surfaces or changing fluorescent lamps will probably be required to wear goggles or some other form of protective headgear. General custodial PPE applications could involve wearing appropriate footwear, headgear, and protective clothing for jobs that could pose hazardous conditions from rolling or falling objects or chemical splashes. Hand protection might be required for custodians working with harmful chemicals or in environments where severe cuts, lacerations or high temperatures can cause injuries.